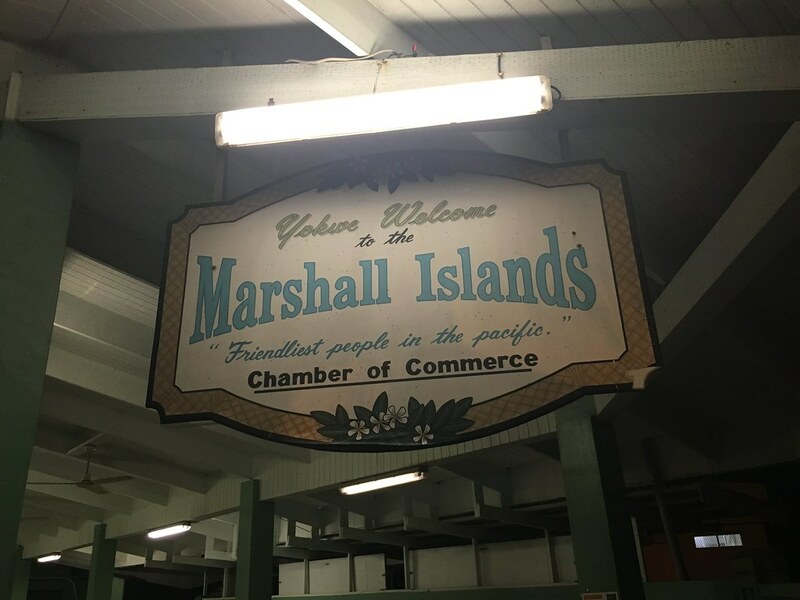 The Republic of the Marshall Islands, may 2016! IAKWE! This is the officiall greet from the Marshall Islander, it means hello, farewell, love or you are a rainbow. 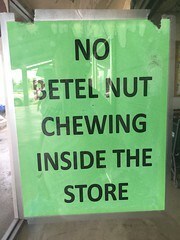 So there you have it, different meanings, same word. 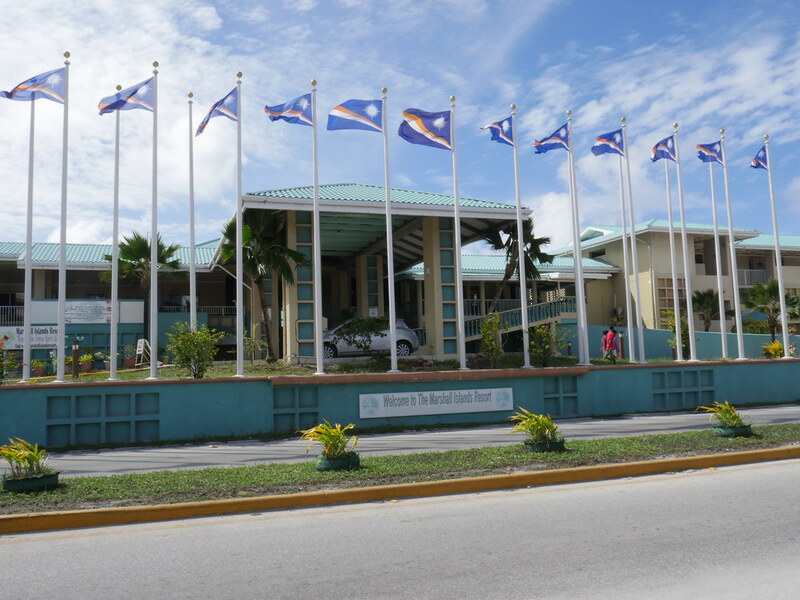 to me this sounds like a chilled out nation where everything is done when they come around to it. 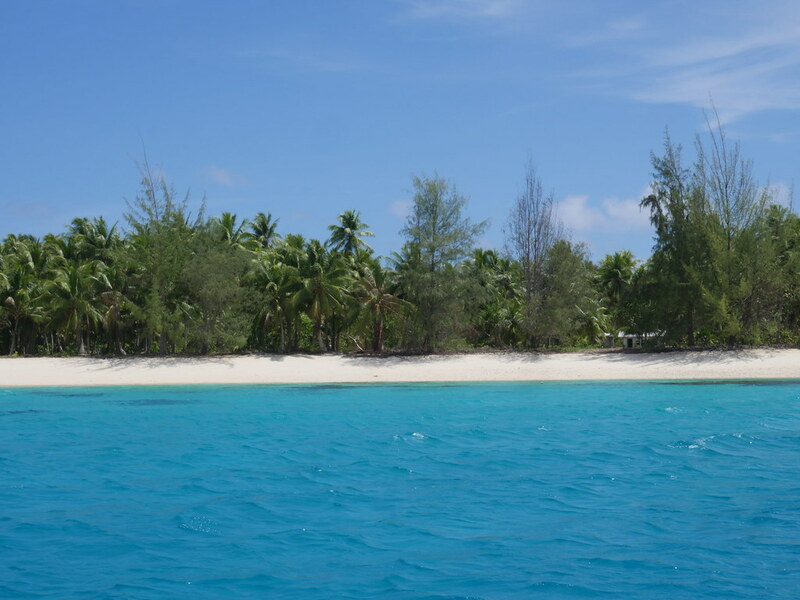 The Republic of the Marshall islands is a country which is in the middle of the pacific ocean. 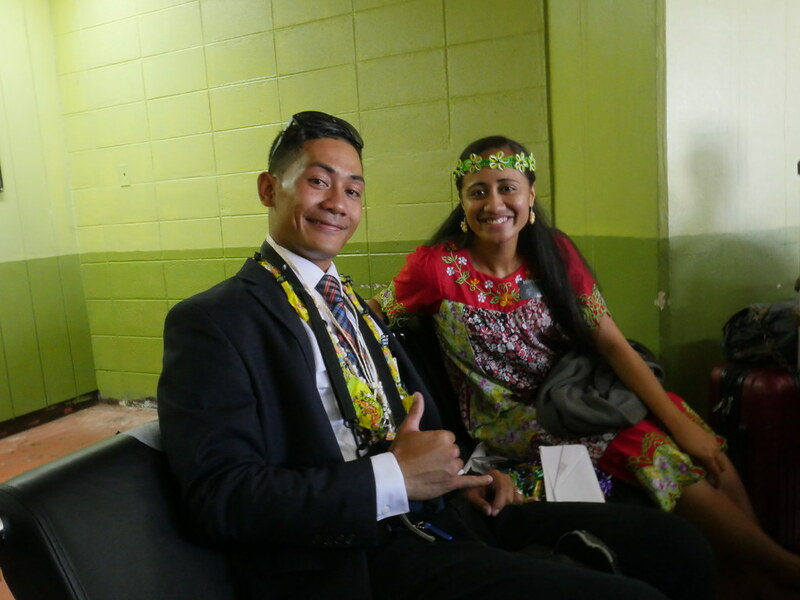 They have a population of around 55.000 and predominantly Micronesian in origin. 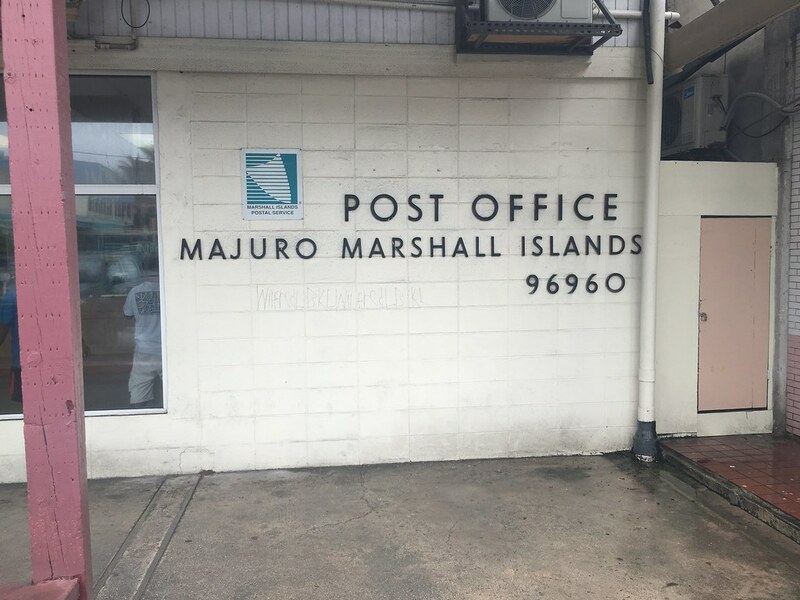 Marhallese are known throughout the pacific and the world for their friendly and peacful nature and time has also intoduced new elements into their culture, with mixed, german, Japanese and American Marshallese people. 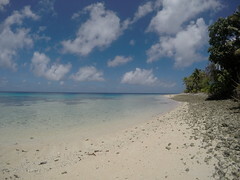 Marhall Islands is also known for Bikini Atoll which is a atoll (island with a logoon in the middle). Here the US tested nuclear weapons between 1946 and 1958. People that lived on those atolls were moved and the decendents after these ones have never moved back as the radiation levels are much higher here. 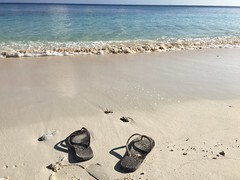 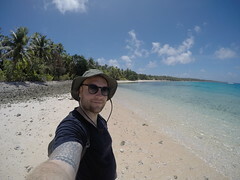 To get to the Marshall Islands there are 2 international flights that take you in and out of the island, American Airlines which fly between nations on the northern route in the pacific and Nauru Airlines that connects the southern route. 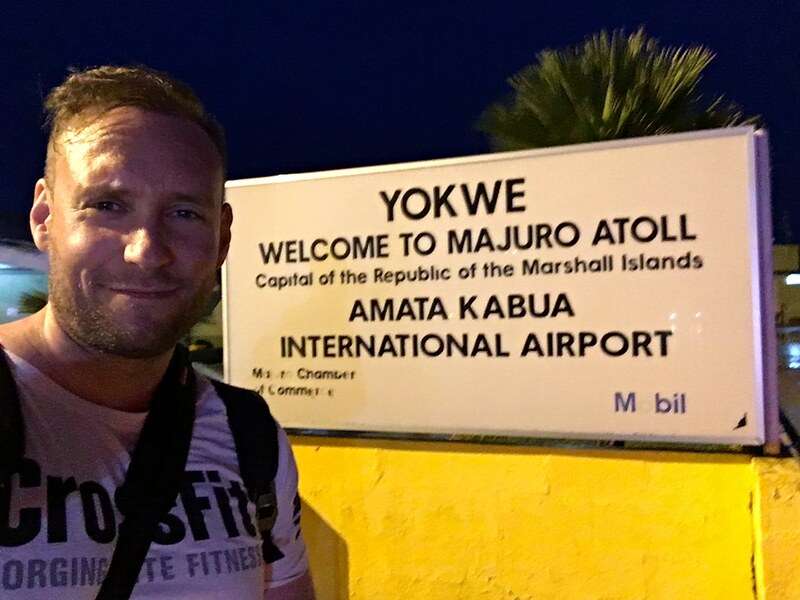 I came from Pohnpei, Micronesia and arrived in Majuro with American Airlines, the flight is very scenic so my advice would be to get a window seat for daytime flying. 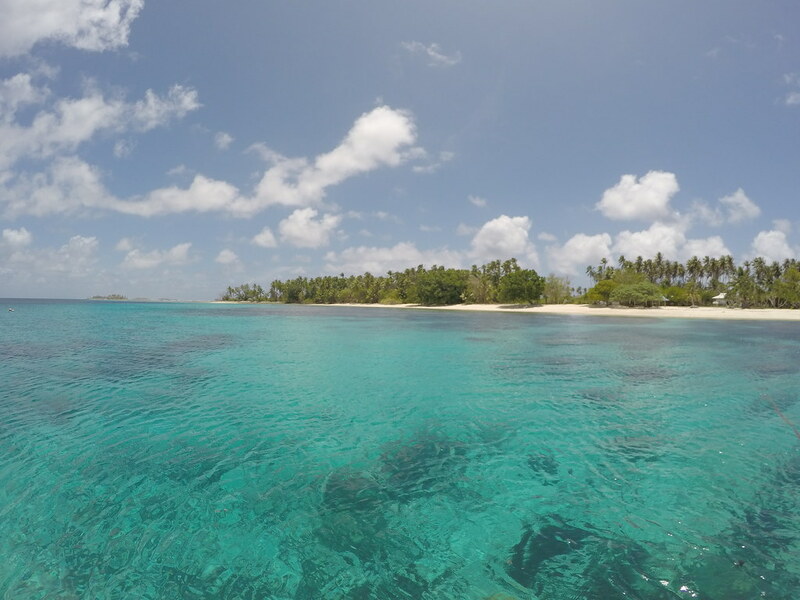 The distances in the Pacific is huge and this is something you will only experience when you fly between islands. 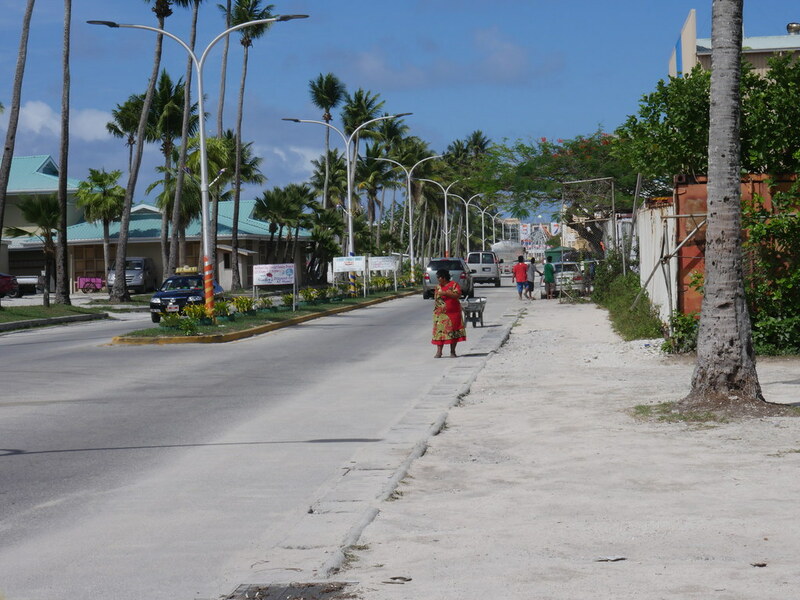 I spent my time mostly in Majuro, this is the Capital and the largest settlement in the country, here you have 3 hotels, banks, supermarkets, a few pubs, a dive operator and a wharf which you can rent boats for daytrips going fishing or sightseeing. 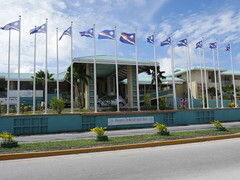 Main center in Majuro, Marshall Islands. 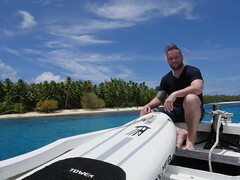 Travelling in these parts of the world make you understand that the more remote you get the more expensive it gets. 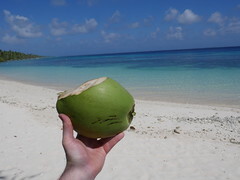 Walking into supermarkets here is not the same as doing it in big citys in Europe. You see, water, tin canned food, noodles, basically things that can be stored for a while. Chocolate, icecream, fresh bakery goods beside bread isnt there, if you find it, you might think again of buying it as its way more expensive. 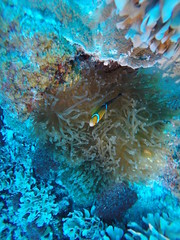 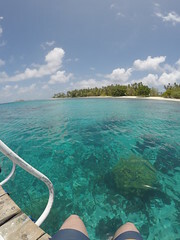 I stayed at Marhall Islands Resort my first night, this is the biggest hotel and where you have the dive operator. 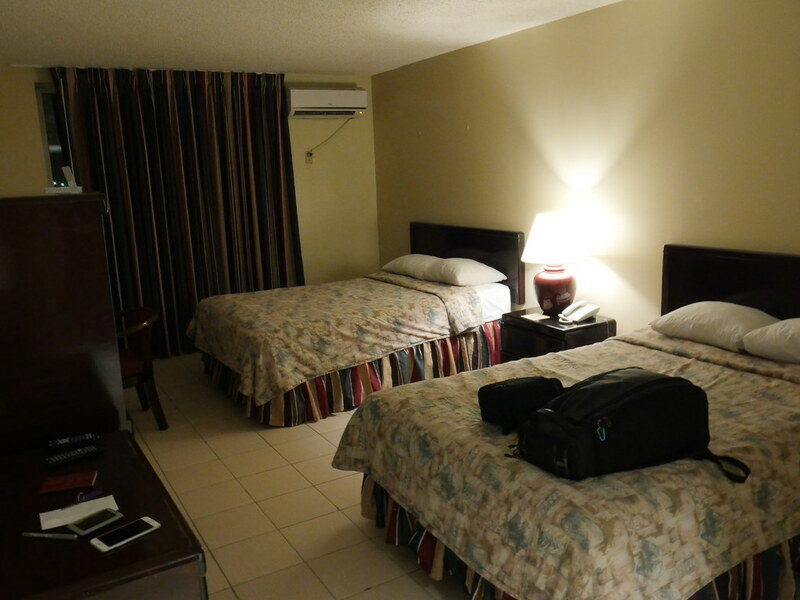 The room was ok, but not much more, the breakfast wasnt included, but they had a restaurant on the premises so i found something later on. the other nights i stayed with Robert Reimers. 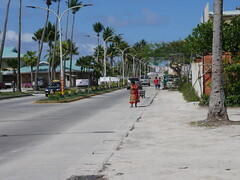 Internet is something we in the western world use daily, and to get online in these parts of the world isnt as easy. 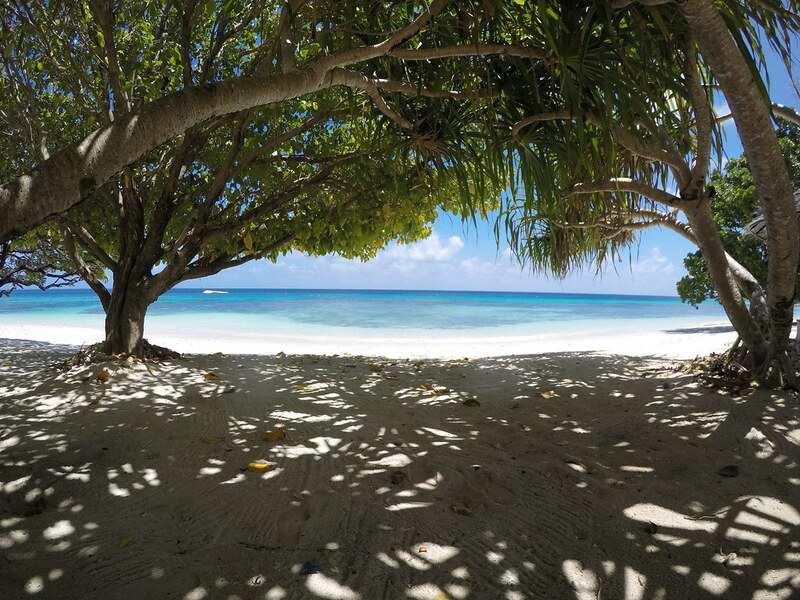 There is possible but there isnt just free wifi everywhere. Here you need to buy wifi cards, they will cost you 5 to 10 US and will last you a short while. So if you need to upload pictures or videos it might cost you a fortune. 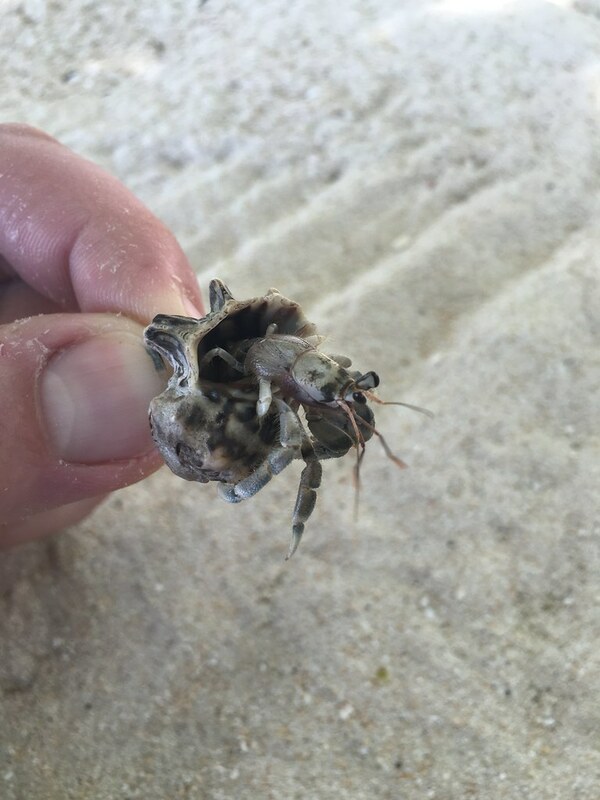 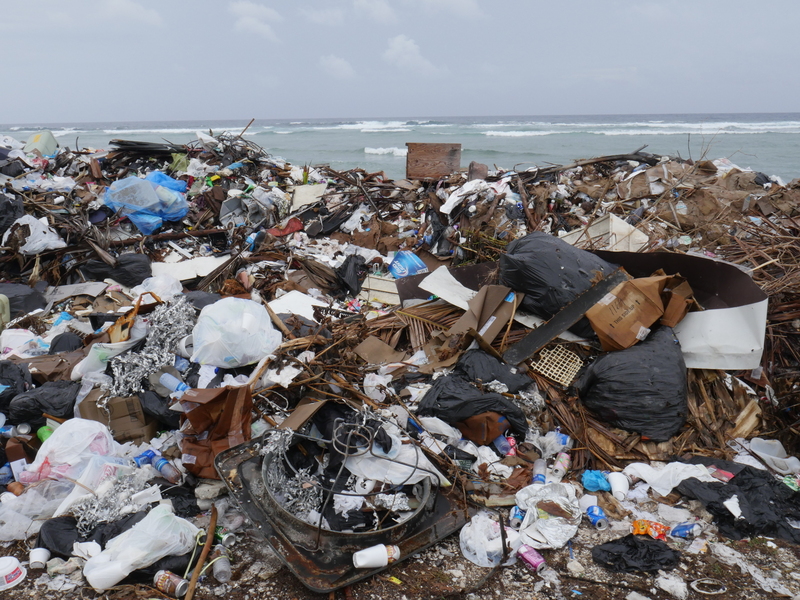 Here you see waste, and in the Marshall Islands its just dropped on the beach as there`s no room elsewhere, This is typical for many Pacific Islands, sadly. 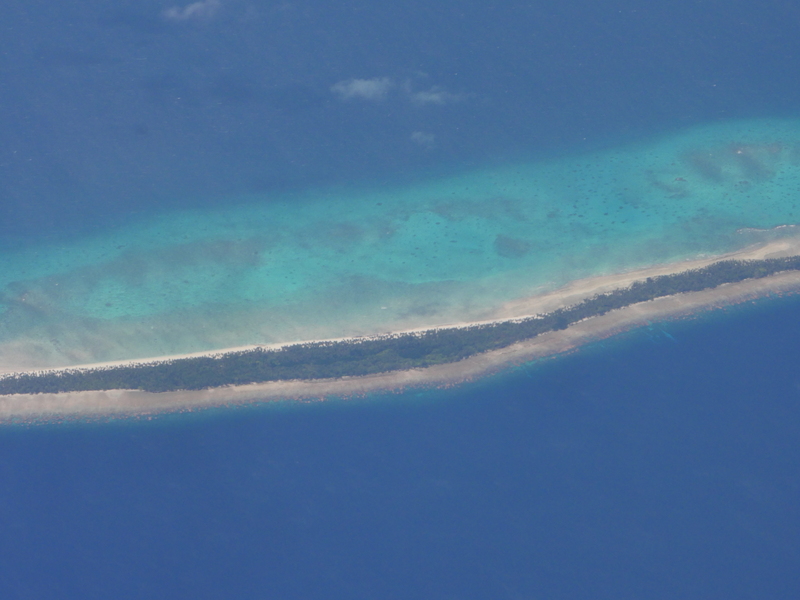 Flying over Arno Atoll, Marshall Islands. 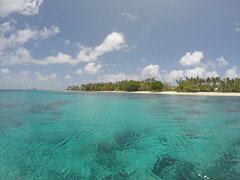 The problem of travelling around these parts of the world with a limited time is that you cant go to the outher islands. 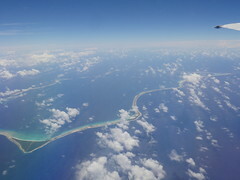 The outher islands are the other islands far from the one with the airport and that are the main hub. 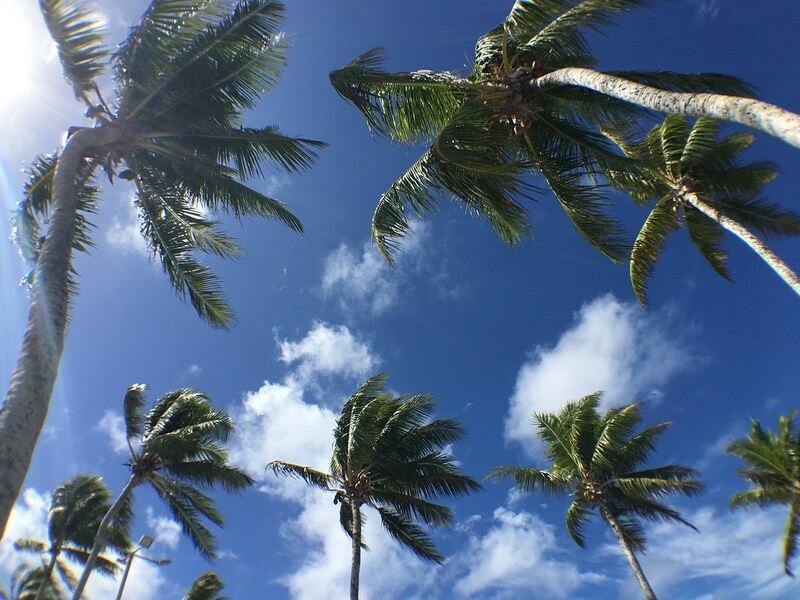 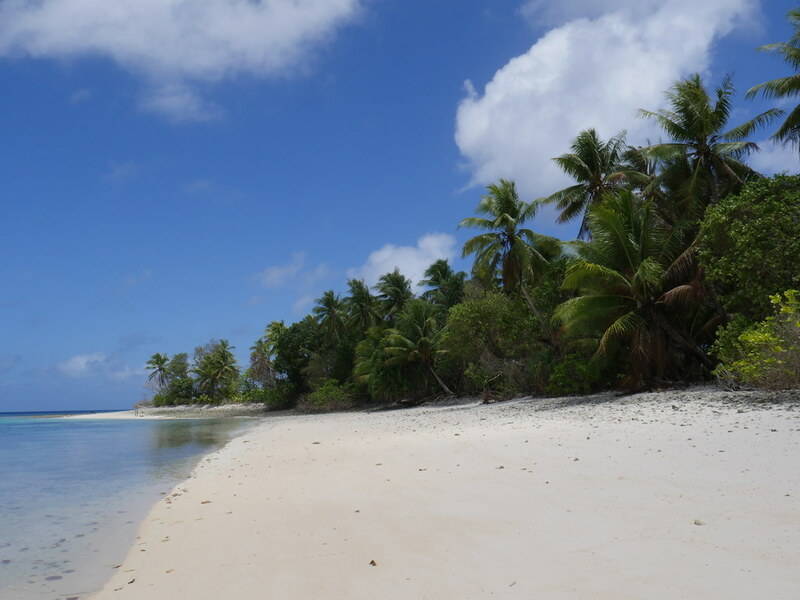 Everyone that come to the pacific want the Robinson Crusoe feel while walking around on unexplored islands, so if you want that experience you might need lots of time, money or a sailboat. Im not saying all the islands with airports are bad, but to get away from the traffic, the waste, the dirty water, the oil spill you need to get away to the nearest islands. 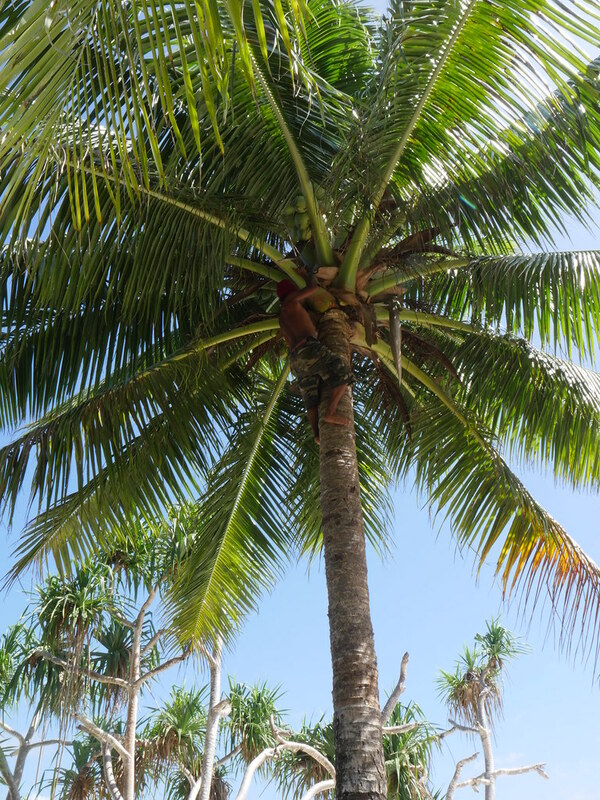 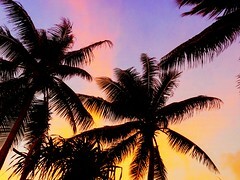 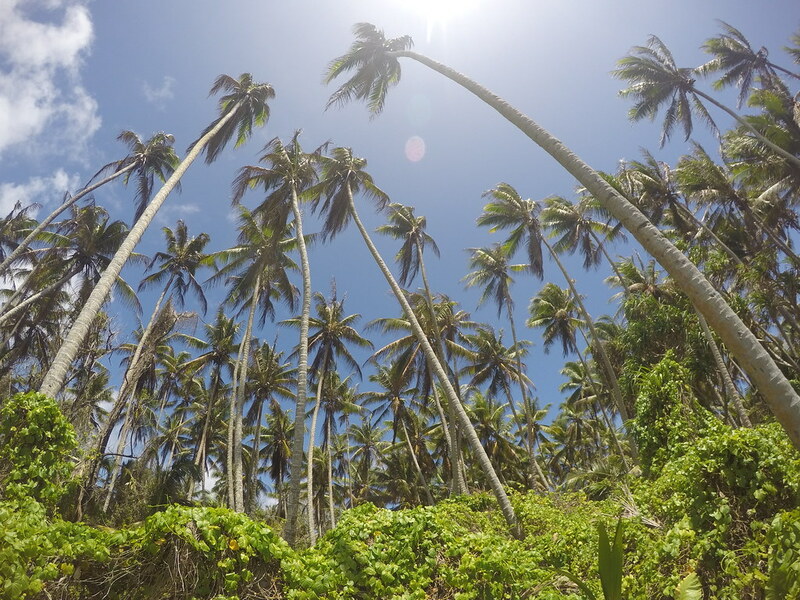 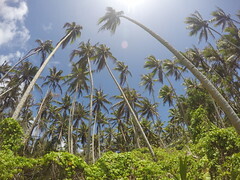 Locals climb palm trees as i cook potatoes! 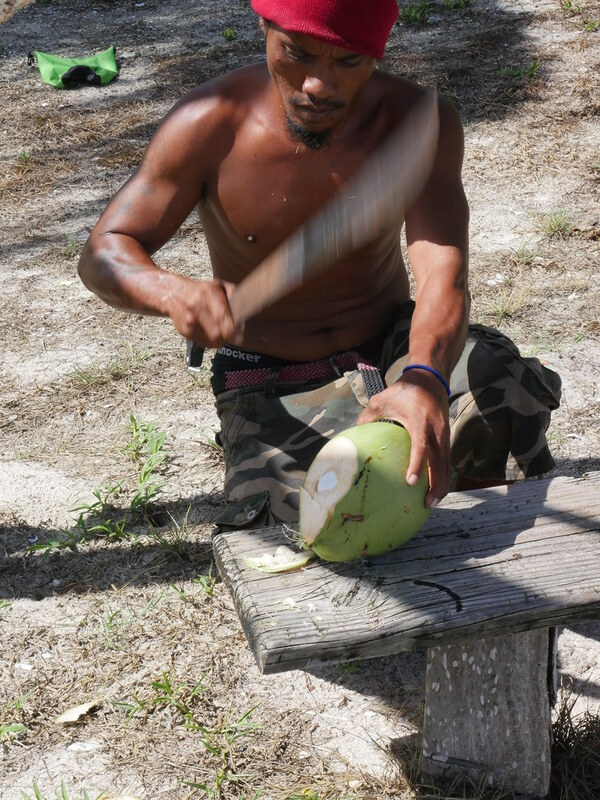 Nothing like a fresh coconut in the morning! 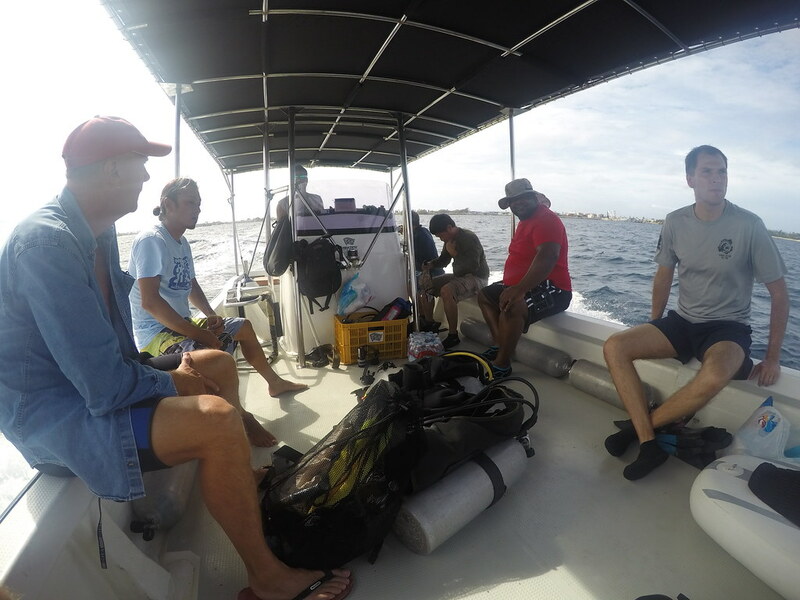 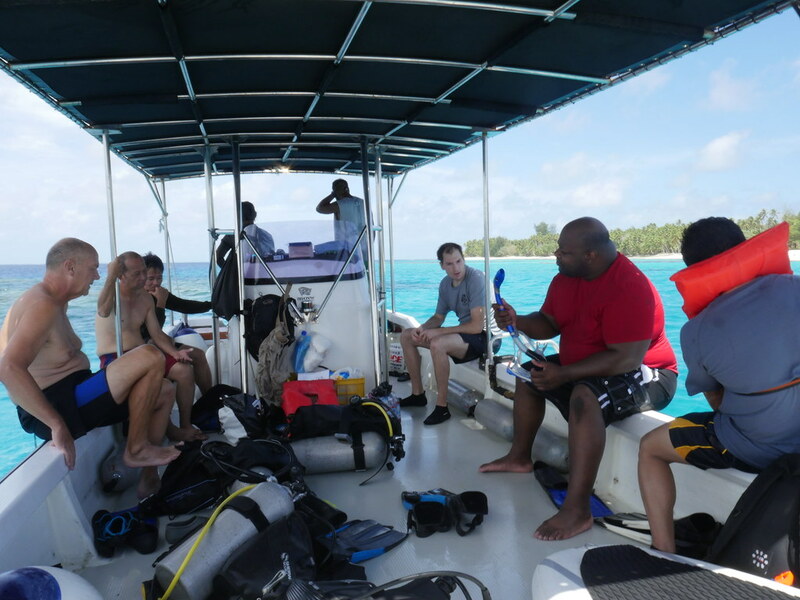 Dive day with Raycrew divers! 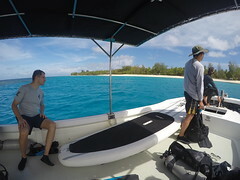 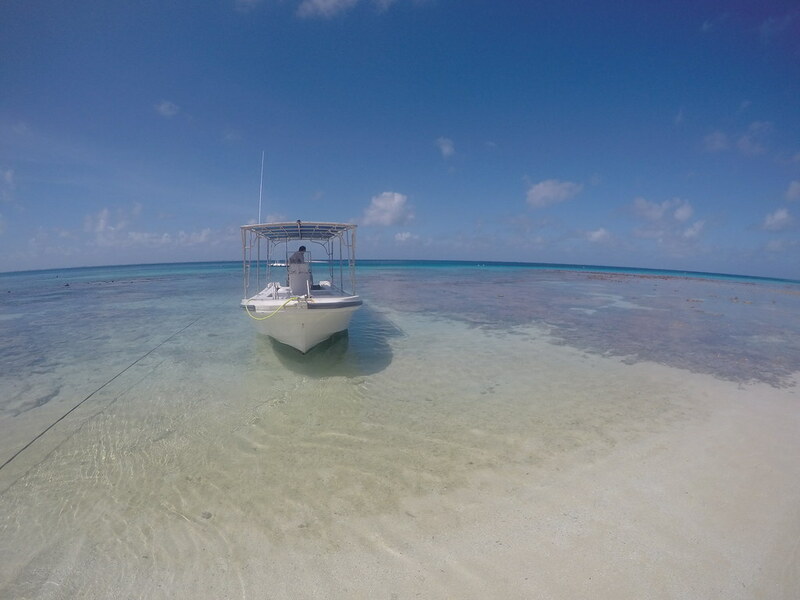 Boattrip around the Marshallese Islands! 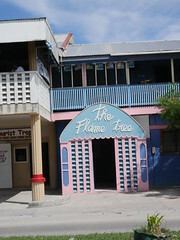 The Flame Tree backpackers where the cheapest option but with cockroachers crawling in the rooms i upgraded myself to a better option! 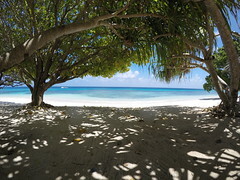 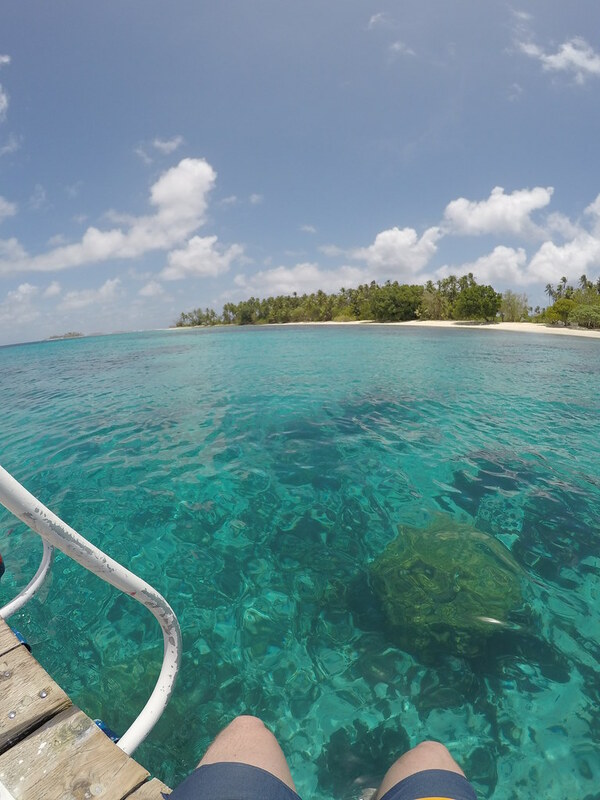 The Marshall Island Resort, one of 3 hotels in Majuro! Met these Samoan friends that were missionarys on Marshall Islands! 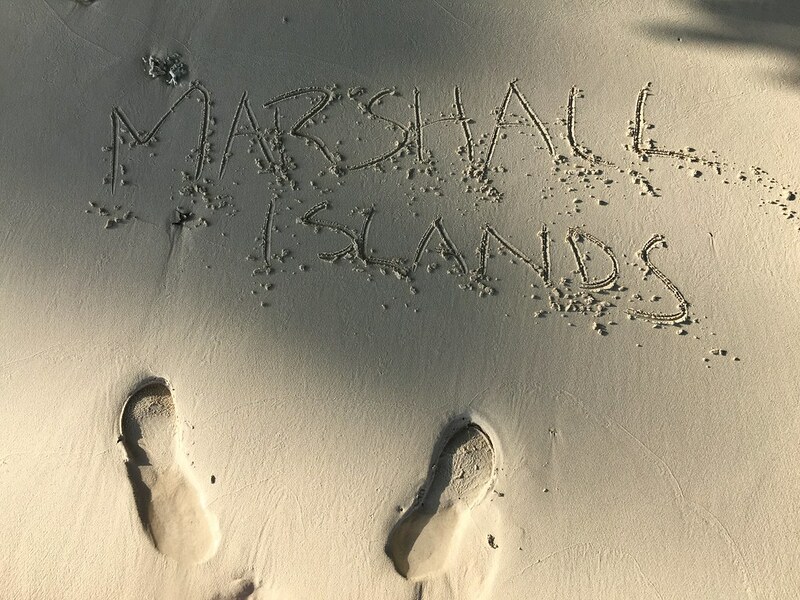 Flying above the Marshall Island archipelago! 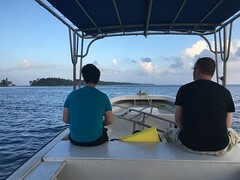 Our captain took us to the island and left us there. 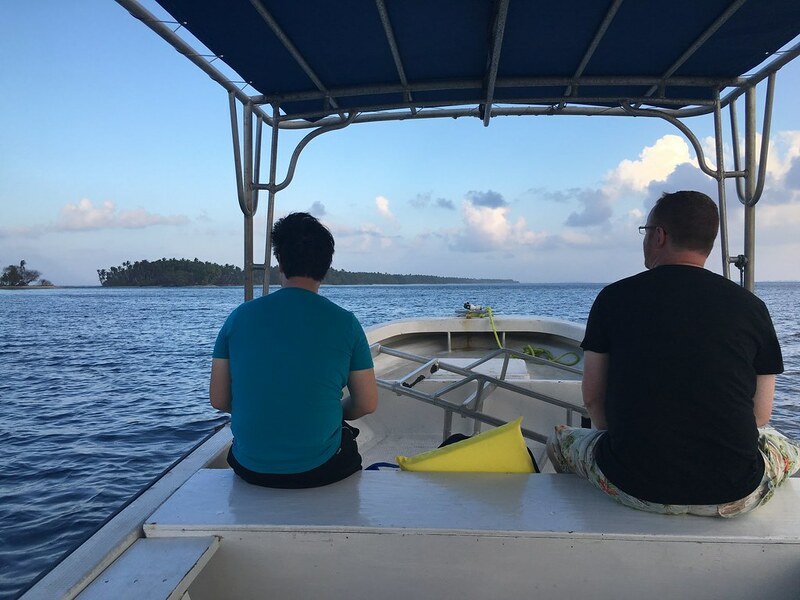 The plan was to pick us up 10 hours later! 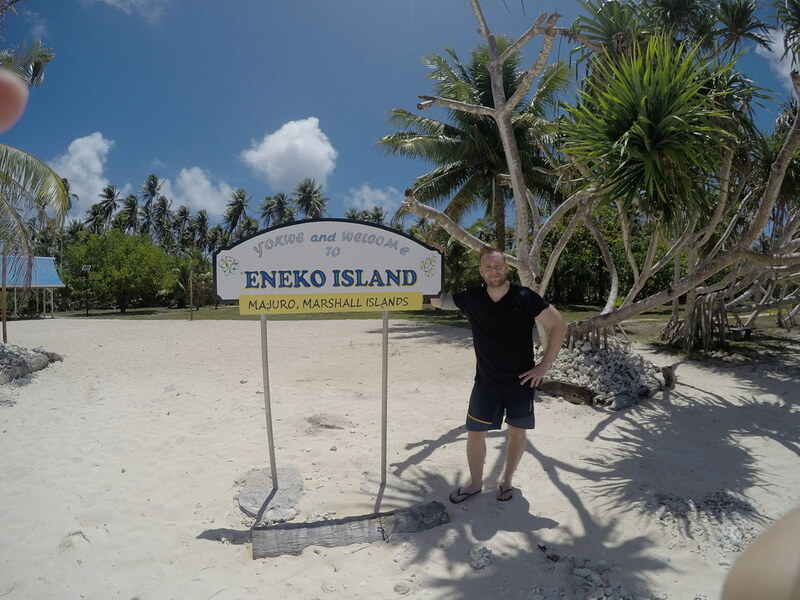 Daytour to Eneko island, Marshalls! On to the next dive site! Getting close to another island, its just paradise! 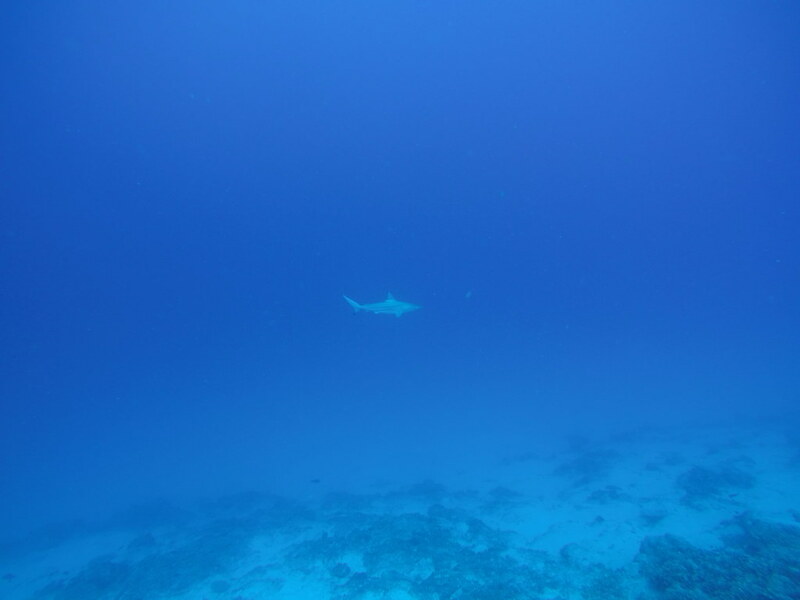 White Reef tip shark, mostly found around the waters in Marshall Islands! 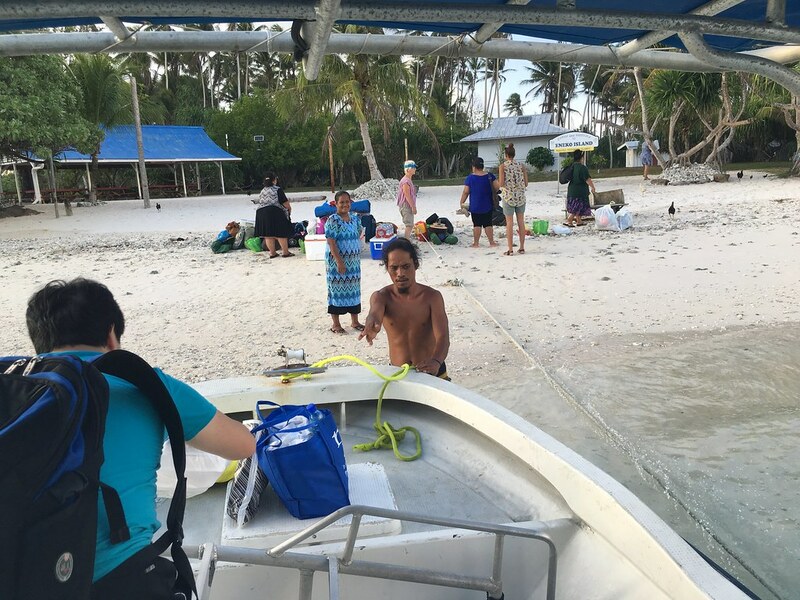 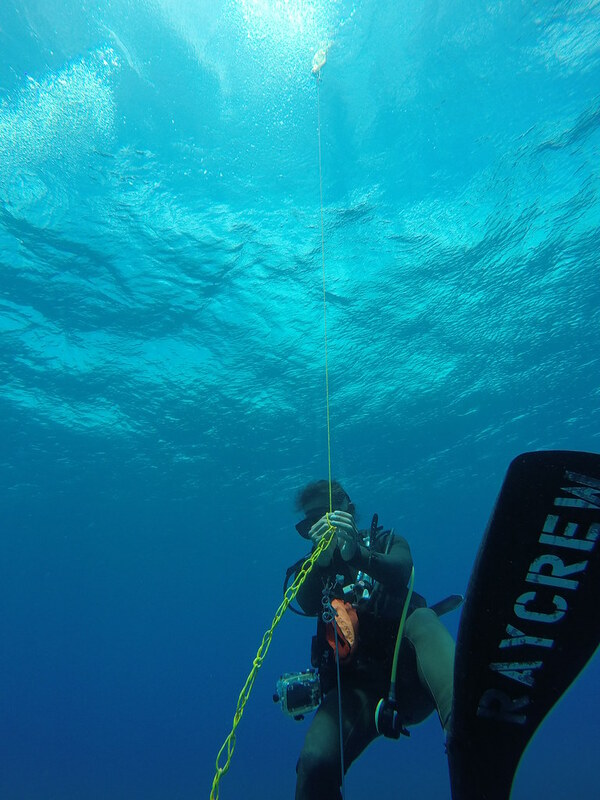 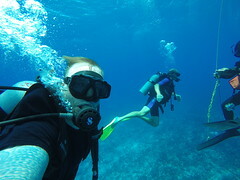 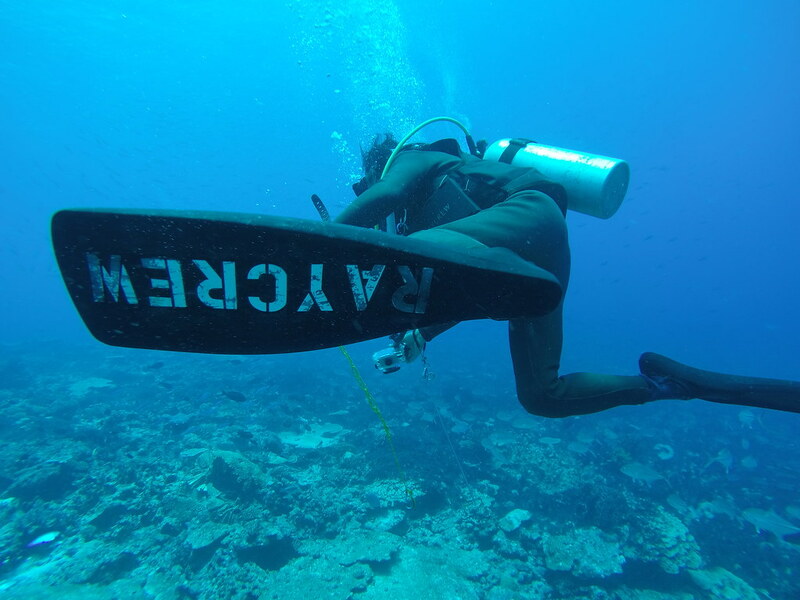 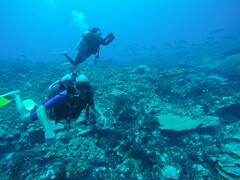 Hiro, our divemaster getting dragged around with the current! 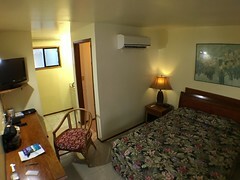 Double room, Marshall Island Resort. 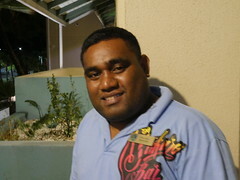 The security guard, Marshall Island Resorts. 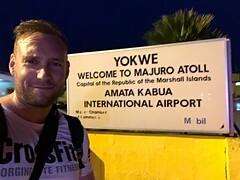 Just landed in my 119th visited country. 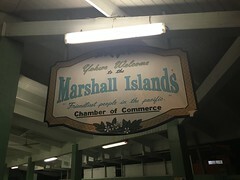 The famous sign of the Marshall Islands entering the airport. 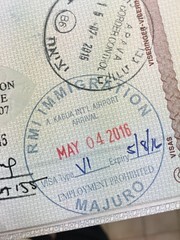 Official stamp from RMI, Republic of the Marshall Islands. 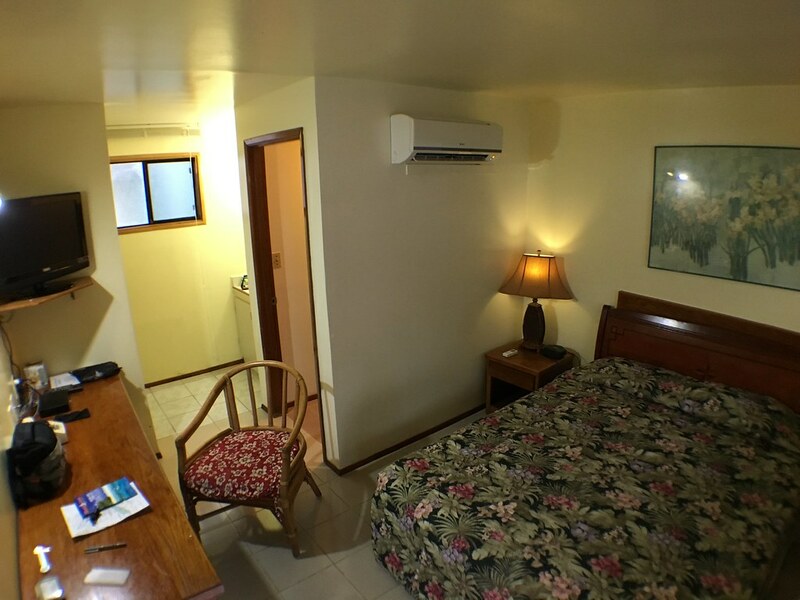 My room at Robert Reimers Hotel, Majuro. The main and one and only post office in Majuro. 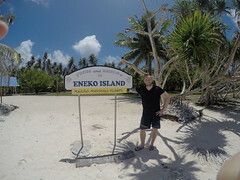 First view of Eneko Island! Walking around Eneko Island was just incredible with views like this. 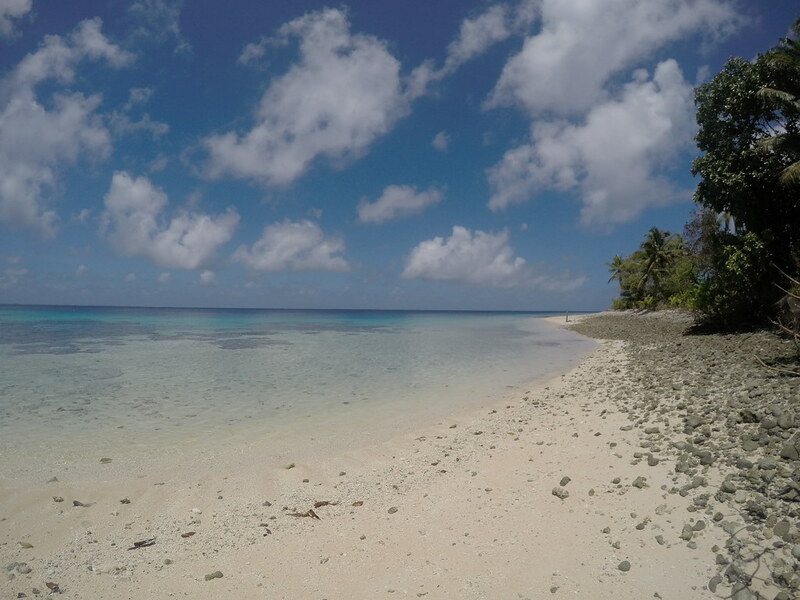 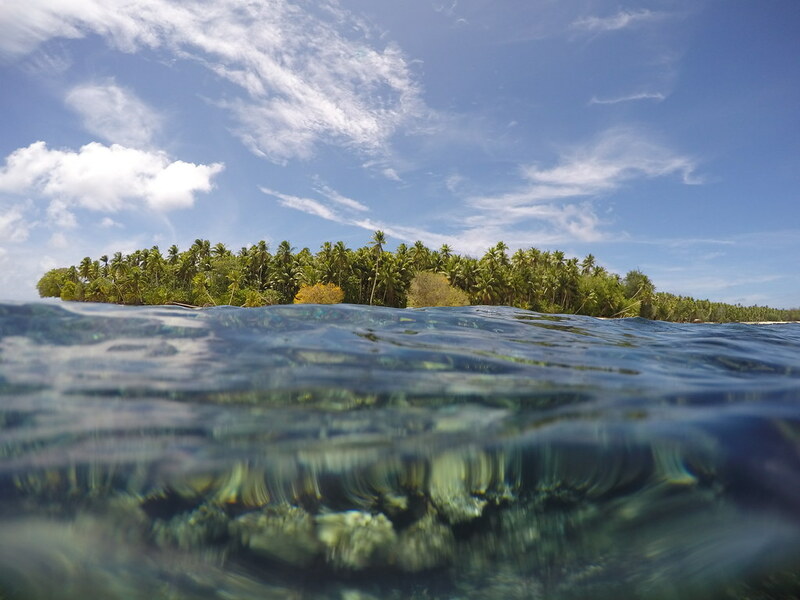 Marshall islands, a pacific dream. This is only for a few days. 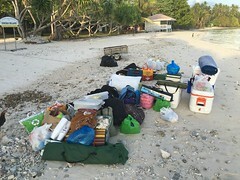 When we left the island, others just arrived for a few days. 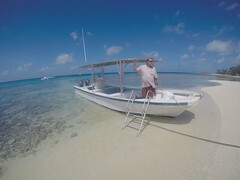 Two American tourists that ive just spent a whole day with on a deserted island. 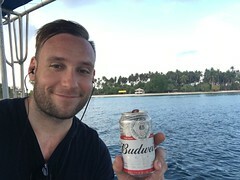 A cold one after a hot day. 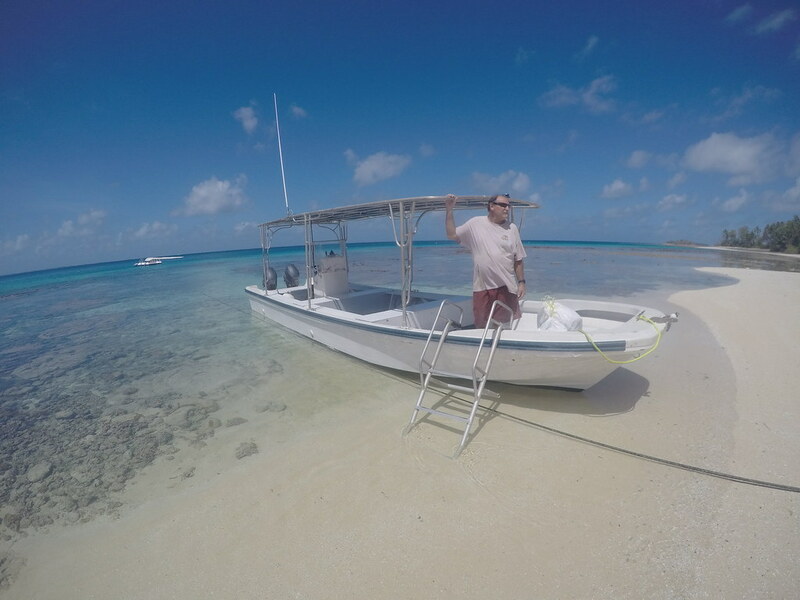 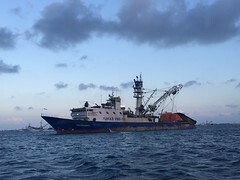 Marshall Islands have one of the biggest fishing waters belonging to them and here are the boats that fish the most populare type, the tuna. 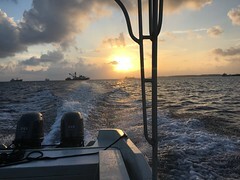 On our way back from Eneko island, sunset and tuna boats! 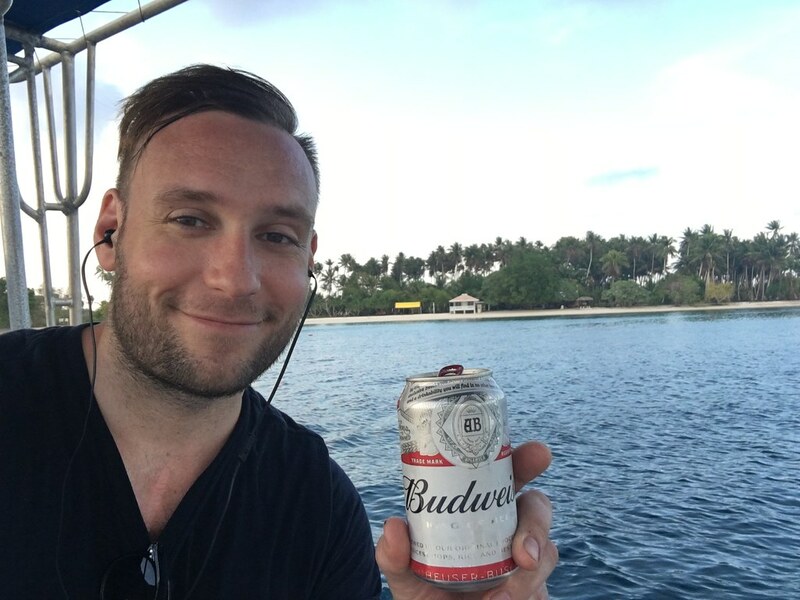 Its stereothypical but it had to be done. 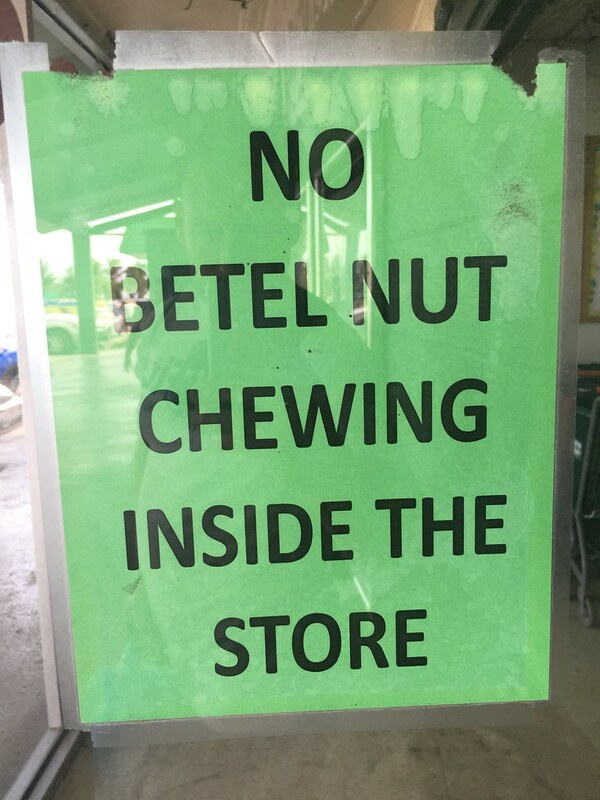 Info infront of the supermarket. 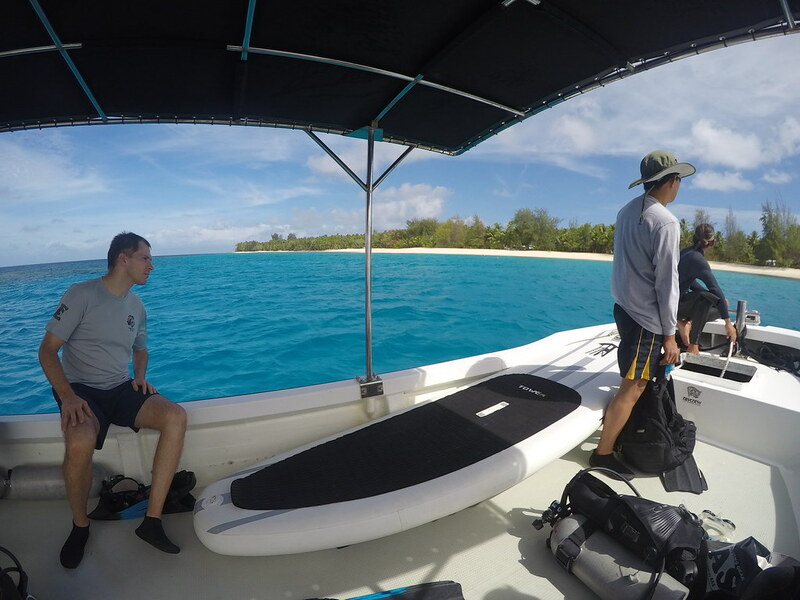 Diving around the Marshallese archipelago! 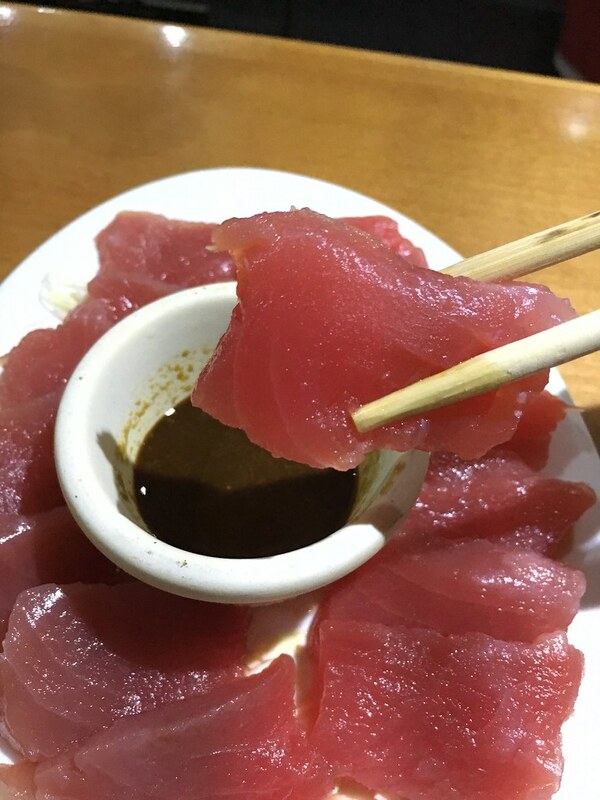 In the Marshall Islands you get the best Sashimi in the world. 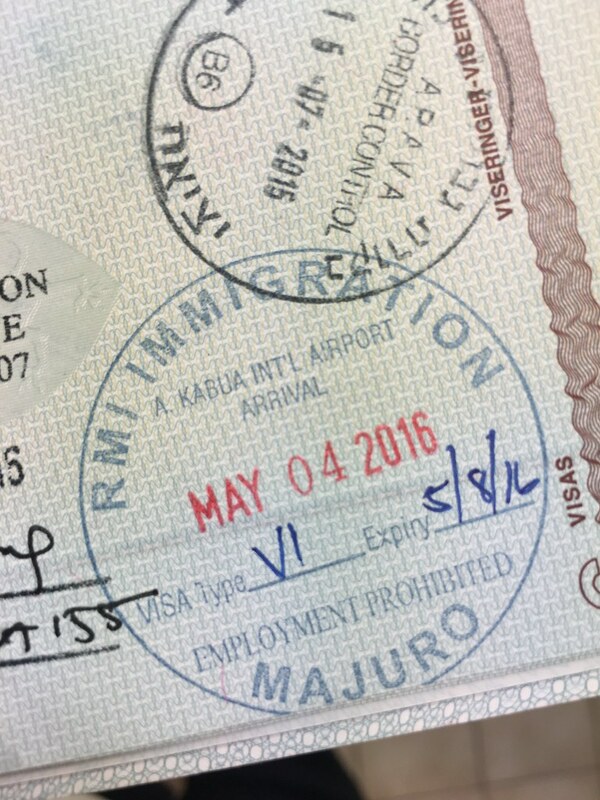 ← Federated States of Micronesia, may 2016.